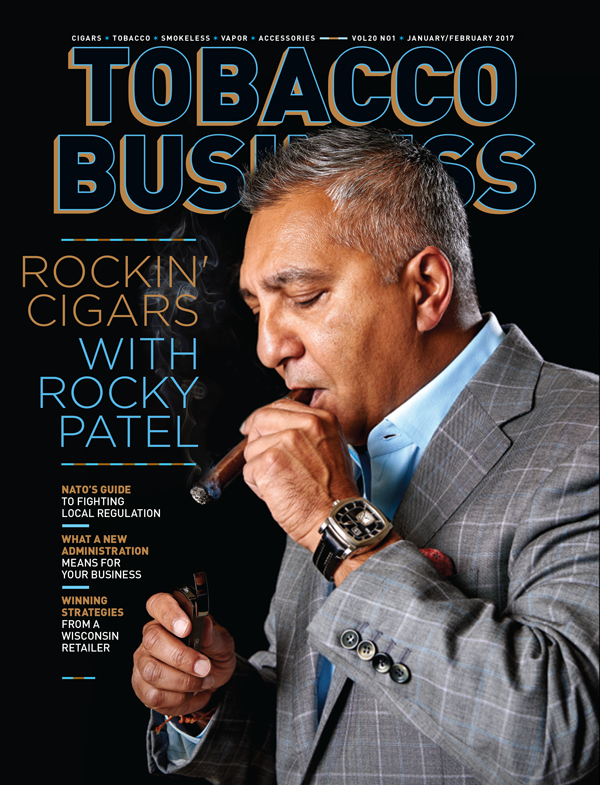 Tobacco Business is not your typical B2B magazine. As a publication of Tobacco Media Group (TMG), Tobacco Business is the only magazine that encompasses all categories of tobacco and smoking products, including premium tobacco, smokeless, cigarettes, vapor, pipe tobacco and new this year, the alternative market. Keep up with all the latest news and stories from Tobacco Business both in print and online with its new website and on Twitter (@tobaccobizmag), Facebook (http://facebook.com/tobaccobusiness) and Instagram (@tobaccobizonline). For subscription information, click here. Also managed by TMG is the Tobacco Plus Expo (TPE) show is a trade show. This popular trade show is dedicated to manufacturers and distributors in need of a venue to exhibit their tobacco products, auxiliary merchandise and related services. The TPE Show attracts more than two thousand participants annually to view new product, place orders, network and participate in educational sessions designed to foster business strategies which enhance top and bottom lines. Show registrants represent convenience tobacco stores, tobacconists, convenience stores, wholesalers, importers/exporters, manufacturers, the emerging vapor market, consultants and tobacco industry media, reporting on the burning issues and tobacco community goings-on. The TPE Show is a “must attend” for all tobacco marketers, retailers and distributers seeking to maximize their shelf-space and make enduring improvements to their business. For more information on the TPE Show, visit tobaccoplusexpo.com.